A John Steptoe New Talent Award Winner Before there was hip hop, there was DJ Kool Herc. On a hot day at the end of summer in 1973 Cindy Campbell threw a back-to-school party at a park in the South Bronx. Her brother, Clive Campbell, spun the records. He had a new way of playing the music to make the breaks'e"the musical interludes between verses'e"longer for dancing. He called himself DJ Kool Herc and this is When the Beat Was Born . 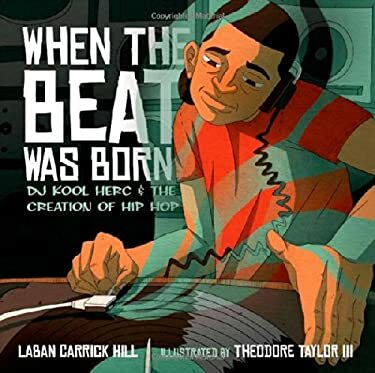 From his childhood in Jamaica to his youth in the Bronx, Laban Carrick Hill's book tells how Kool Herc came to be a DJ, how kids in gangs stopped fighting in order to breakdance, and how the music he invented went on to define a culture and transform the world. New (52 available) BRAND NEW. Over 1.5 million happy customers. 100% money-back guarantee. Make your purchase count: support Better World Books' worldwide literacy partners.